Eagle Media is a department of Florida Gulf Coast University and the only student-run media group on campus. Each spring semester, we select the top student leaders to help take our program to the next level, but there are opportunities to get involved that are available throughout the entire year. We’re looking for students of all majors and experience levels. In exchange, we offer experience, service learning hours, networking opportunities, and some paid positions as well as the chance to be part of something you never thought possible. PLEASE NOTE: To qualify for leadership positions, students must be in good academic and conduct standing, in accordance with FGCU’s Student Activities Eligibility requirements. Wanna be head honcho of an evolving and thriving multimedia operation? The Eagle Media Executive Editor is selected each Spring by the University-appointed Student Media Advisory Board and serves as the primary student leader of the organization. This position provides a degree of oversight for all three content-producing branches of Eagle Media – Eagle News, ENTV and Eagle Radio – with direct supervision of the Eagle News staff and its day-to-day operations. The Executive Editor is tasked with ensuring that all staff and contributors within Eagle Media operate with the highest degree of professional and ethical standards. Executive Editor is responsible for adhering to the policies and procedures outlined in the Eagle Media Executive Manual as well as ensuring that all staff members undergo proper training and understand the policies and procedures of the organization. The Executive is responsible for leading weekly news staff meetings, assigning news coverage, monitoring the news budget, supervising every news production night and ensuring that section editors are on task to meet deadlines. Previous news editing experience preferred. The Eagle Media Marketing and Sales Manager is selected each Spring by the University-appointed Student Media Advisory Board to generate and manage ad sales revenue for Eagle Media as well as promote the Eagle Media brand to the university and its surrounding community. It is the responsibility of the Marketing and Sales Manager to promote the business and branding of Eagle Media through regular contact with potential clients, promotional campaigns and fundraising events. The Marketing and Sales Manager is responsible for working with the Media Adviser and any other promotional personnel to set and meet sales goals, build the client base, conduct market research, track circulation and web analytics and submit monthly and quarterly business reports. The Eagle Media Digital Editor is the glue of the entire media team. Hired by the Executive Editor, this position is responsible for updating www.eaglenews.org with the latest content from Eagle News, ENTV and Eagle Radio on a daily basis as well as optimizing viewer engagement with a steady stream of social media content. Because news is always happening on campus and locally, this position requires considerable time commitment and a willingness to be available late nights and weekends. This is for a deadline-driven student who understands that the media industry operates in minutes not days. It’s for the digital news junkie who loves to be the first to break information and beat the competition. This position also requires skill in team management and exceptional communication. The Digital Editor must be in regular contact with the Executive Editor as well as editors, promotional staff and other content contributors to ensure that relevant content is updated to the site in a timely and visually-appealing manner. Knowledge of Google Analytics and SEO is preferred. Experience with web design and using WordPress a big plus. Extensive experience using Twitter, Facebook, and Instagram a must. The Eagle Media Graphics Design Editor is responsible overseeing the graphics in the paper and online as well as having an overall knowledge of the paper’s layout. They are responsible for checking and fulfilling newsroom assignments or assigning other graphic designing staff. He or she is expected to stay in regular contact with Business Manager to fulfill any ad design orders from clients as well. Knowledge of Adobe Photoshop is must. Experience using Adobe Illustrator preferred. The Eagle Media Photo Editor is responsible for managing and executing the photo assignment needs of all three Eagle Media operations–Eagle News, ENTV and Eagle Radio. He or she is responsible for communicating with the Eagle News EIC, ENTV Director and Eagle Radio General Manager to find out when photography is needed. He or she is tasked with regularly checking the Master Budget for photo assignments and enlisting other photographers to take photos when needed. He or she is charged with taking and submitting photos in a timely manner and ensuring that the other photographers do the same. Prior photo experience is a must. Experience using a Canon DSLR and knowledge of Adobe Photoshop strongly preferred. The Assignment & Features Editor serves as one of the primary leaders of Eagle News, that is, this position provides some oversight to content in print and online. This position is responsible for largest portion of the monthly print edition, overseeing the layout and development of content ranging from local politics and current events to entertainment and special topics. The A&F Editor is also responsible for keeping the campus community up-to-date on the latest news by working with the Digital Editor to ensure digital-first coverage of big events and breaking news. This role is for an organized, exceptional manager of people who can move quickly and plan ahead strategically. This is the perfect role for a student serious about a career in journalism and media and it is a role that will stand out to media employers on a resume. This is for the student who loves storytelling and keeping the community informed about the world around them. Good grammar skills and familiarity with AP Style are a necessity. Ability to set and keep deadlines is a must. Must be willing to learn and uphold media law and ethics. Previous news writing experience strongly preferred. The Sports Section Editor and the Opinion Section Editor are hired by the Eagle Media Executive Editor and are responsible for curating and producing a steady stream of content for their respective sections. Each section editor is responsible for maintaining a weekly budget of relevant story ideas as well as assigning those stories to writers. They are responsible for updating their budget daily in a shared master budget for all editors to view. Section editors are responsible for setting and enforcing weekly deadlines for their writers. They are also responsible for laying out the content for their section in Adobe InDesign. If their section is short on content, the section editors and their assistants are responsible with producing stories to fill the space. With the exception of breaking news, every editor is also responsible for carefully reviewing the stories submitted to his or her section by writers BEFORE production night in order to allow ample time to discuss any issues with the writer. Section editors must be available to work late nights and occasional weekends. Authoritative knowledge and interest in the section you oversee preferred but not required. Familiarity with Adobe InDesign a plus. Knowledge of AP style a must. Each Assistant Editor is hired by the respective Section Editor. These are unpaid positions that require some knowledge of the section in which the assistant will serve as well as an understanding of basic grammar and AP style. The Assistant Editor reports to their Section Editor and serves as a stand in, in the event that the Section Editor is unable or unwilling to fulfill his or her duties. The Assistant Editors help to oversee the production of content for their section and help to ensure deadlines are met by writers. The Assistant Editor also assists in providing coverage for their respective section. Must be available to work late nights and occasional weekends. The Senior Copy Editor is hired by the Executive Editor. The position requires a strong command of the English language, high proficiency in AP style and journalistic writing. The Senior Copy Editor is primarily responsible for ensure that all Eagle News copy is factually and grammatically sound. This person must proof read each story in a timely matter or assign other members of the copy editing team to proof read stories in a timely manner. Because accuracy and credibility are the highest tenets in journalism, it is imperative that every story in the paper and online is reviewed for factual and grammatical errors before being published. That makes this position particularly important. Attention to detail is a necessity. Understanding of AP style a must. Knowledge of Adobe InDesign preferred. Eagle Copy Editor is hired by the Senior Copy Editor. These unpaid positions require a strong command of the English language, high proficiency in AP style and journalistic writing. The copy editor is responsible for proof reading each story assigned by the Senior Copy Editor, Digital Editor or Executive Editor in a timely manner. Because accuracy and credibility are the highest tenets in journalism, it is imperative that every story in the paper and online is reviewed for factual and grammatical errors before being published. Understanding of AP style a must. Knowledge of Adobe InDesign preferred. Eagle Media is the independent, student-run organization, which oversees media outlets Eagle News, Eagle Radio and ENTV. The ENTV Director is responsible for managing the overall operations of ENTV and working in concert with the leaders of Eagle News and Eagle Radio. The director develops and assigns original video projects for eaglenews.org and for the ENTV Youtube channel. The director is responsible for working with the Eagle News Executive Editor and Digital Editor to develop videos to accompany Eagle News content and also for assisting the Eagle Radio General Manager on multimedia projects. The director is responsible for producing content on a variety of topics, including but not limited to news, sports, and entertainment. Must be willing to learn and uphold media law and ethics as well as communicate those ethics to the rest of the staff. The ENTV Assistant Director is hired by the ENTV Director and is responsible for assisting the director in communicating policies and procedures regarding equipment usage, production schedules, copyright laws and media ethics. This position must regularly communicate with the ENTV director and be present for meetings and big productions and events. The role of the Assistant Director is to ensure that operations are smooth and deadlines are met. This position will step in when the director is unavailable and ensure the quality and timeliness of videos, also contributing ideas and collaborating with the director about any issues that may arise within ENTV. The Assistant Director may also be responsible for producing video segments and series themselves. Some knowledge of Adobe Premiere preferred. Experience producing, editing video content a must. This unpaid position is hired by the ENTV Director and is responsible for managing the ENTV news content team and ensuring regular video coverage of newsworthy campus events. This position often works in concert with the Eagle News A&F Editor as well as the Digital Editor to ensure time-sensitive news content is covered and published to eaglenews.org as soon as possible. This position is for the aspiring broadcast news reporter and producer and a good manager of people. This is for a deadline-driven student who understands that broadcast news operates in minutes and seconds, not days. Some video-editing experience and knowledge of Adobe Premiere strongly preferred. Knowledge of AP broadcast script-writing style also a plus. Some understanding of broadcast news reporting standards and ethics is a must. ENTV Reporters/Producers are hired by the ENTV Director and are responsible for filming, editing and even starring in videos for ENTV. These roles are unpaid but provide excellent opportunities to build a much-needed demo reel for those who are serious about getting into the broadcast industry. These positions are responsible for contributing ideas for videos, attending the weekly ENTV staff meetings, communicating with the director and assistant director to ensure the quality of each video produced and communicating with ENTV media to make sure videos get posted in a timely manner. Some experience shooting and editing video preferred. 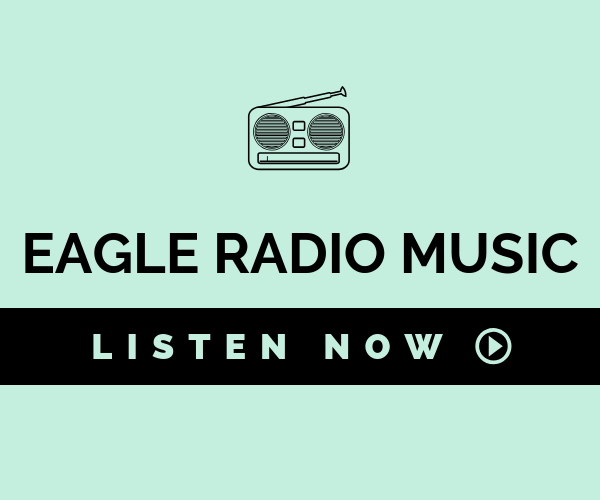 Eagle Radio serves as a platform where students can broadcast music, entertainment and information through the hallways, dining halls and mobile devices throughout campus. The Eagle Radio Station Manager plays an intrinsic role in this overseeing the development of new original podcasts, staffing and the streaming of music. The Station Manager is responsible for working closely with the other branches of Eagle Media on promotional and outreach efforts as well as always keeping the Eagle Media Executive Editor up to speed on content and upcoming projects. The Station Manager is responsible for ensuring the quality, professionalism and consistency of radio content, and addressing any operational issues as they arise. NOW ACCEPTING APPLICATIONS. Apply here. The Programming Director is hired by the Station Manager. The Programming Director is responsible for the entire on-air product. He or she governs the production and quality of all the radio content to ensure that it is timely, consistent and uniform. The Programming Director serves as the liaison between on-air staff and management. This position is responsible for resolving conflict between staff and ensuring that all deadlines are being met. With control over production, talent, work schedules, and program schedules, the PD’s programming objectives support the goals of the Station Manager. This position requires a considerable time commitment, with occasional late nights and weekends. Knowledge of radio production and/or working in a broadcast control room preferred but not required. The Assistant Programming Director is hired by the Station Manager. This unpaid position holds many of the same duties of the Programming Director, ensuring that the goals of the Programming Director are being met. Knowledge of radio production and/or working in a broadcast control room preferred but not required. The Promotions Manager is hired by the Station Manager. This is unpaid position is designed to promote the station’s image, programs and activities. The Promotions Manager works closely with the marketing team in creating on-air promotions and graphics to promote Eagle Radio. The responsibility of the Promotions Director includes engaging in cross-promotional events designed to drive business to Eagle Radio and to garner greater audience attention for the radio station. His or her duty is to promote and market the Eagle Radio brand. They are responsible for managing Eagle Radio’s Street team, wearing shirts and tabling. Prior experience in marketing and promotions preferred. The Social Media Marketing Executive is hired by the Station Manager and responsible for marketing and overseeing all Eagle Radio’s social media accounts. This unpaid position is the primary conduit between Eagle Radio and its audience. This position oversees the Eagle Radio Social Media Managers, which are responsible for Eagle Radio’s Twitter, Snapchat, Facebook and Instagram account as well as monitoring and tracking any individual podcast accounts to ensure uniformity, frequency of content and professionalism throughout. This is for the witty and engaging student with a passion for drawing in an audience and an understanding of analytics. This job is for a goal-oriented, go-getter who gets results (i.e. views) through creative campaigns and consistency. Experience using Twitter, Facebook, Instagram and Snapchat a must, preferably in a professional capacity. The Audio Engineer is hired by the Station Manager, and is primarily responsible for overseeing the production and post-production of Eagle Radio podcasts. The Head Editor is responsible for coordinating the editing of the content for each episode following and ensuring sound production quality. 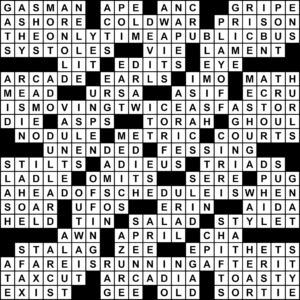 The Head Editor is expected to understand the show order and keep in contact with the Programming Director to ensure timely delivery of the final product prior to the episode air-date. This person is responsible assigning editing responsibilities as well as performing them. This person should have some experience working in a control room. Some experience using audio editing software including Adobe Audition and ProTools is required. Audio Editors are hired by the General Manager and are primarily responsible for the post-production of Eagle Radio podcasts. They are responsible for editing the content of each episode following recording as well as checking audio levels and sound quality. They are expected to understand the show order and keep in contact with the Programming Director to ensure timely delivery of the final product prior to the episode air-date. Experience using audio editing software including Adobe Audition and ProTools preferred but not required. The Show Hosts are unpaid positions selected by the Station Manager based on personality and professionalism. These positions are for the charismatic, colorful and consummate professionals. Consistency and preparation counts as much as personality in these roles. Hosts represent the voice of the radio program and are expected to represent Eagle Radio ethically. They are responsible for planning show segments, drafting scripts, showing up to recording every sessions on time and ready to perform. Hosts work closely with the Programming Director on the order of the show as well as scripts, timing and host-read ad placements when applicable. Meeting show deadlines is non-negotiable. Previous broadcast experience preferred but not required. VISIT FGCU EAGLE JOBS TO FIND OUT WHICH POSITIONS ARE AVAILABLE AND HOW TO APPLY.